The MXL-CPHY-DPHY is a high-frequency low-power, low-cost, MIPI physical Layer. The PHY can be configured as either a C-PHY or D-PHY. In either configuration, it can be used as a transmitter or receiver. In the D-PHY mode it can be configured as a MIPI Master or Slave supporting camera interface CSI-2 v1.2 and display interface DSI v1.3. Additional optimized configurations for the transmitter and receiver are also available, providing smaller area and higher performance. Supports MIPI® Specification for D-PHY Version 1.2. 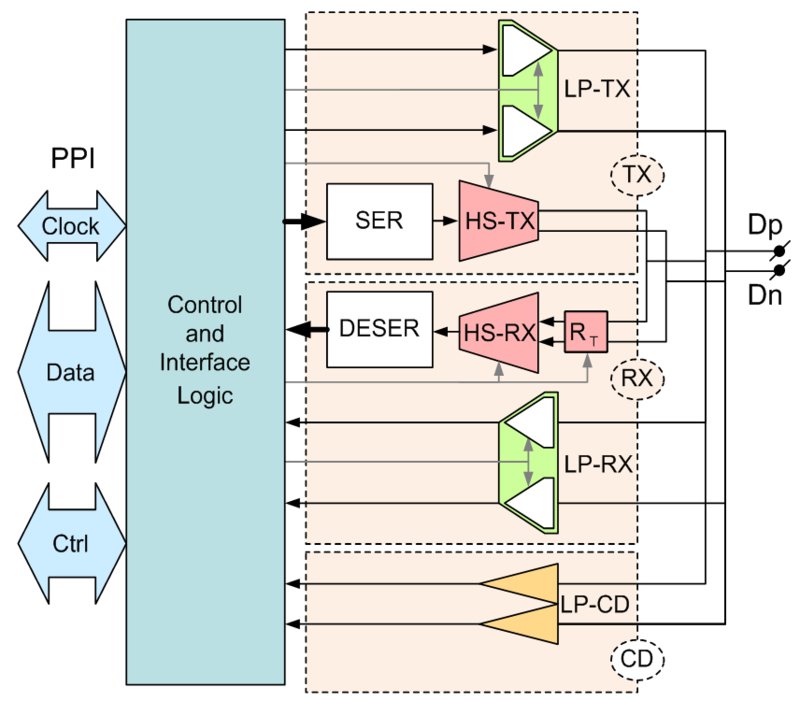 Supports MIPI® Specification for C-PHY Version 1.0. Four Lane in D-PHY mode. Three Lane in C-PHY mode. Supports both high speed and low-power modes. 80 Mbps to 1.5 Gbps data rate per lane in D-PHY mode without DeSkew calibration. Up to 2.5 Gbps data rate per lane in D-PHY mode with DeSkew calibration. 80 Msps to 2.5 Gsps symbol rate per lane in C-PHY high speed mode. Equivalent to 182.8 Mbps to 5.714 Gbps per lane in C-PHY high speed mode. 10 Mbps data rate in low-power mode. DeSkew calibration support in D-PHY.